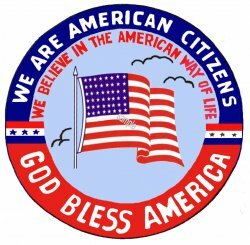 American Citizen God Bless America - $10.00 : Bob Hoyts Classic Inspection Stickers, Add a Final Touch to your Restoration! This amazing sticker is relatively new but you will want it on your car. We are American citizens. We believe in the American Way of life.